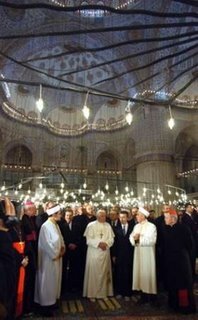 Today Pope Benedict XVI visited the sixth century Byzantine monument St. Sofia (Aya Sofya ), which was once a Church in the Byzantine Era that was converted to a mosque by the Ottman Empire. Today it is a museum in Istanbul, Turkey. 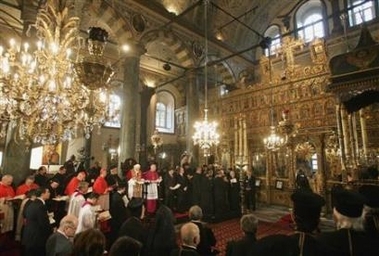 Today Pope Benedict XVI joined Patriarch Bartholomew I to celebrate the Divine Liturgy on the feastday of St. Andrew. This was the promise that brought the two leaders together. 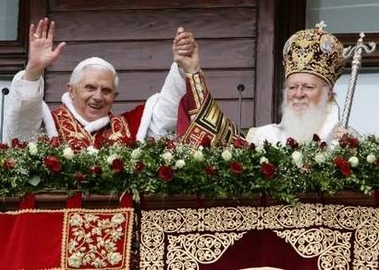 I am also extremely hopeful that the Orthodox Church will soon move to full Communion with Rome. 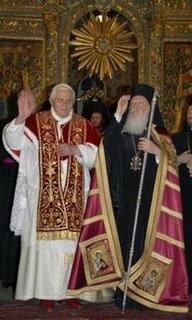 Following the Divine Liturgy, Pope Benedict XVI and Patriarch Bartholomew I signed a joint declaration, which should help move the Orthodox and Roman Catholic Church closer to full Communion. While it didn't break new ecumenical ground, it did underline their dedication to further ecumenical work. 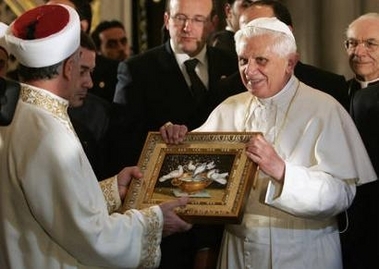 Today Pope Benedict XVI celebrated Mass in Ephesus, near Selcuk, Turkey. Ephesus is the ancient city where St. Paul preached, St. John the Evangelist lived the final days of his life, and an ecumenical council was held in 431 AD . Pope Benedict XVI celebrated it at the shrine of Meryem Ana Evi called "Mary's House ", the place where Mary lived the last years of her earthly life with St. John the Apostle before she was assumed into Heaven. Due to security measures, only around 250 people were present in the congregation. Tomorrow my mother will be going through a minor surgery. It should be very short and quick. Please, however, pray for this person for me. I greatly appreciate the prayers of others. Please offer up prayers for the repose of Al Binsacca who died yesterday. 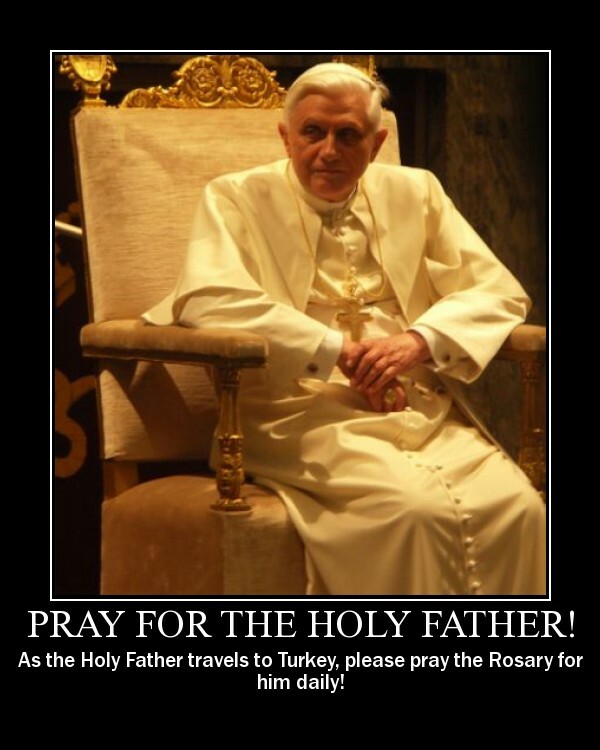 He was my husband's uncle, and was largely responsible for DH's aunt converting to Catholicism. May Our Lord's Mercy triumph over His Justice. Jan van Eyck’s painting “Ghent Altarpiece ,” finished in 1432, depicts Christ the King. Jesus Christ is the King of the Universe, the King of all creation, of all things seen and unseen. Let that thought just sit in your mind. Just take it in and meditate on that statement - Jesus Christ is the King of the Universe. And even though His dominion is the universe, He cares for each of us with a love inconceivable. 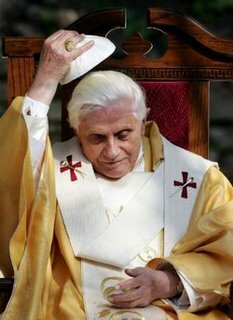 This love was displayed on the Cross and it continues to be renewed each and every moment that the bread and wine at Mass become the Body and Blood of Jesus Christ. As Mother Teresa said, "When you look at the crucifix, you understand how much Jesus loved you. 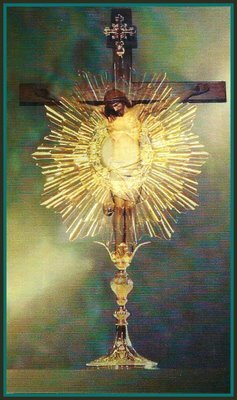 When you look at the Sacred Host you understand how much Jesus loves you now." In the traditional Gospel passage (1962 Missal) for the Feast of Christ the King (i.e. 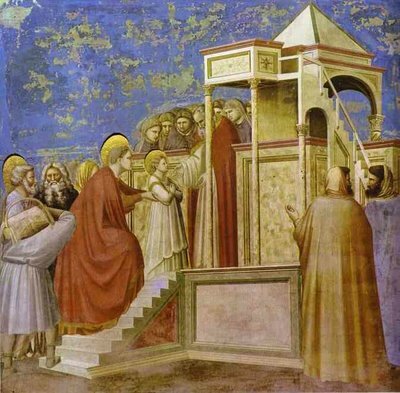 John 18:33-37), Jesus Christ, the King of kings, is taken before Pilate. And Pilate does not recognize Him as King. Instead he asks Jesus "Are you the King of the Jews?" And Jesus, who humbled Himself even unto death, does not call on the legions of angels ready to help Him. Instead He exclaims, "My kingdom does not belong to this world. 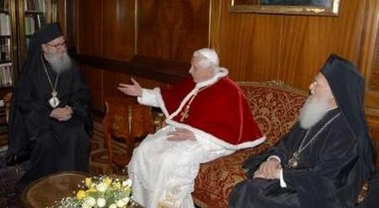 If my kingdom did belong to this world, my attendants would be fighting to keep me from being handed over to the Jews. But as it is, my kingdom is not here." I have frequently thought about that verse. No matter how bad life in our current nations and kingdoms gets, I realize that one day I shall enter Jesus Christ's everlasting Kingdom - the kingdom not of this world. The Israelites, God's chosen people, were given a king over 3,000 years ago. And the Lord warned them that if they were give an earthly king there would be a grave list of problems. But the Israelites demanded one. They didn't just want the Lord God as King, they wanted an earthy one. So Saul was anointed with holy Chrism oil, and from that day, Israel suffered many problems. Until at last the King of kings, Jesus Christ, came into the midst of the Jewish leaders. But they didn't know Him. Their very creator was not recognized by them. 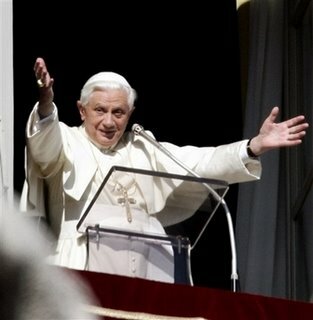 And so they cried out, "We have no king but Ceasar" (John 19:15). What a lie! The Jewish leaders absolutely hated Ceasar and the Roman occupation. They historically despised Caesar. But, they could not carry out an execution without Rome. So they swallow their pride here and exclaimed their king was Ceasar. Now it should be clear how much the Jewish leaders hated Christ - they would rather honor Caesar, who they hated. And the Jewish leaders convinced the crowd to join them, and all of them called out "Crucify Him". What pain must have radiated in the heart of Our Savior as His people rejected Him. They subjected their true king, Jesus Christ, to the worst form of execution at that time, reserved for only the most wretched criminals - crucifixion. And as the King of Glory mounted His Cross with a crown of thorns, He redeemed the world. And as He hung on that tree, two criminals were crucified with Him - one on his right and one on his left. And one them mocked Jesus. But the other one, obviously a man put to death for his grave sins, begged for mercy. He looked at Jesus and said, "Lord, remember me when You come into Your kingdom" (Luke 23:42). That thief repented and acknowledged Christ's kingship (this repentant thief is called St. Dismas in the Church’s traditions). And the Lord replies to Him: "Today you will be with Me in Paradise" (Luke 23:43). 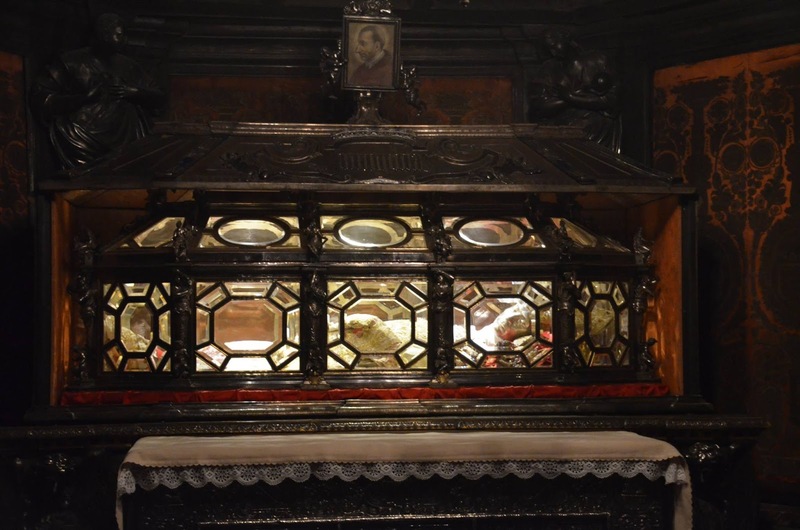 Remember the thief had a "death bed" conversion. He couldn't do any "works" throughout his life for Jesus Christ. Instead he could only confess Jesus Christ as King. And that confession was a work in and of itself. Remember the words of St. James: “For just as a Body without a spirit is dead, so also faith without works is dead” (James 2:26). 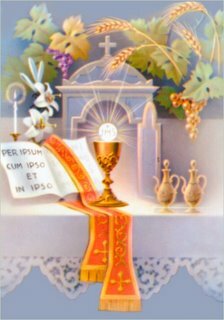 Let us clean our souls in Confession and receive the Eucharist in joy. 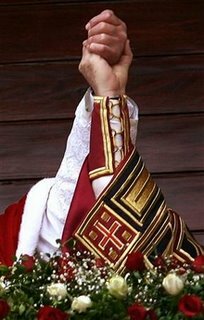 May Christ the King reign in all of us. For His dominion is not just of the earth, sky, and cosmos. His dominion is also in our souls. Today's Mass also describes the qualities of Christ's kingdom. 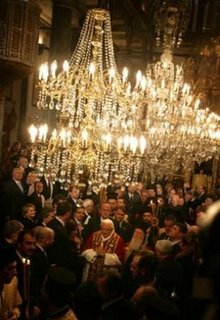 This kingdom is: 1) supreme, extending not only to all peoples but also to their princes and kings; 2) universal, extending to all nations and to all places; 3) eternal, for "The Lord shall sit a King forever"; 4) spiritual, Christ's "kingdom is not of this world". 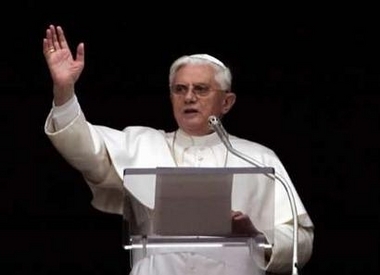 The practice of mandatory Priestly Celibacy was again recently upheld. I completely agree with this as I am preparing to become a seminarian. 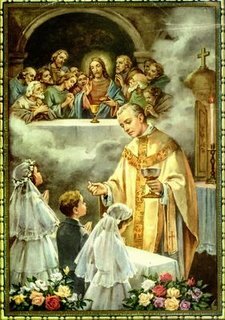 It is not possible to discern a priestly vocation while dating or discerning a vocation to marriage. One must take each step at a time. 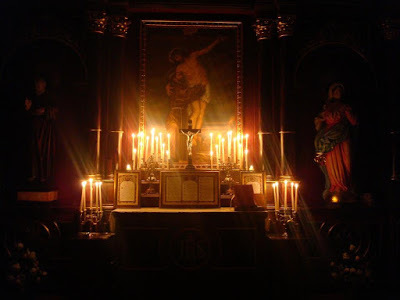 For a priest, celibacy is necessary to give his life completely to God. 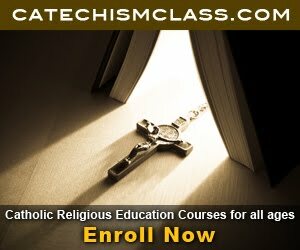 "The value of the choice of priestly celibacy, according Catholic tradition, has been reaffirmed, and the need for solid human and Christian training, for seminarians as well as already ordained priests, has been reiterated,". This statement by the Vatican again reaffirms priestly celibacy. Also "the bishops also approved two liturgical items: a new lectionary for the season of Advent, and a directory for music and the liturgy. 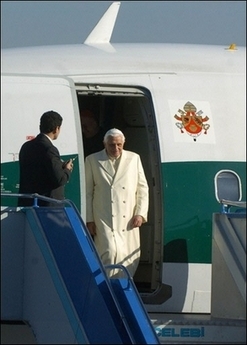 Both items will be sent to the Vatican's worship office for final approval. The bishops also voted 220-11, with one abstention, to approve a new document about contraception aimed at young married Catholics"
What remains to be seen is when the Church will return back to Her roots and continue to celebrate the Mass and the Sacraments in the proper form. How I long for a return to Traditional Theology. I'll be traveling across the country this week as I leave to visit another Catholic seminary for a few days. I plan to return this Saturday night and hope to post many pictures from my trip. Your prayers would be appreciated! 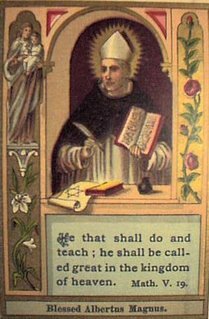 St. Albert the Great (1206 - 1280) was born and died in what is now the country of Germany. He was the son of a nobleman and became a Dominican priest. He was an extremely influential speaker, preacher, and teacher, who even taught St. Thomas Aquinas, one of the greatest theologians in the history of the Church. Furthermore, St. Albert contributed to the sciences including botany and biology, keeping detailed observations of his findings. He also became Bishop of Regensburg and introduced Greek and Arab science to medieval Europe. Some of his influential writings, such as his book On Union with God, are still available today. 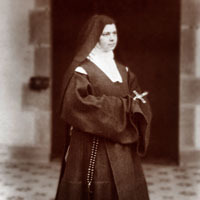 "My soul, if you wish to be intimate with Mary, let yourself be carried between her arms and nourished with her blood . . . . Let this ineffable, chaste thought accompany you to the Banquet of God and you will find in the Blood of the Son the nourishment of the Mother"
O God, Who didst make blessed Albert, Thy Bishop and Doctor, great by his bringing human wisdom into captivity to divine faith: grant us, we beseech Thee, so to follow the guidance of his teaching that we may enjoy perfect light in heaven. Through our Lord. I haven't had a chance yet to post my review of Episode 3 of The Monastery," the TLC program that airs each Sunday night at 9 PM Central Time. Overall, I have enjoyed watching the monks in the monastery pray as it brings back memories of my time visiting a monastery. However, I have been increasingly annoyed at the rude and disrespectful manners shown by several of the men that take part in this reality series. Thankfully the most disrespectful of them all, a man that even stole a truck from the monks to go several miles away to drink on the Eve of Ash Wednesday, has left the monastery. I'm hoping that the series finally improves now. In light of recent news in the past few years of companies refusing to say "Merry Christmas", I have decided to try and do something about it! I will not be shopping at any store that refuses to say "Merry Christmas". 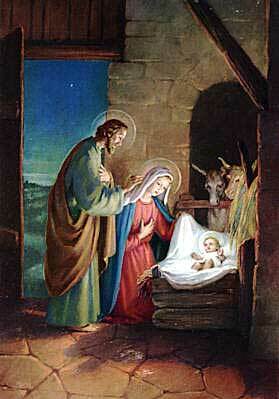 Let us all recall the saving work of Christmas in that Our Savior was born to us. And He, the King of Glory, was born in a feeding tray for animals in the cold of the night because no one wanted Him or His Immaculate Mother Mary. His own creation did not know Him! 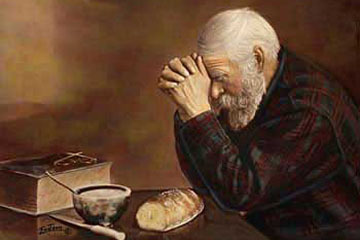 Let us seek humility of heart for that reason this coming Advent and Christmas season. Stand up for Jesus Christ! For wrist bands on this topic, see Operation Just Say Merry Christmas. "While waiting for the book to come out, I started a sideline business with my family. Using antique holy cards from my own collection, I've started producing Christmas cards and blank note cards. If I do say so myself, they are pretty nice. Actually, they're gorgeous." Today is the Memorial of St. Leo the Great. See my article on him from last year for biographical information as well as a prayer for his intercession. 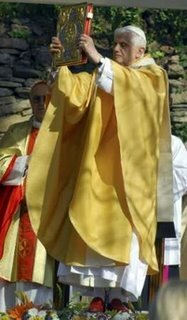 Nov. 06 (CWNews.com) - Pope Benedict XVI (bio - news) reminded the faithful that mortal sin leads to damnation, in a sobering message at his Angelus audience on November 5. 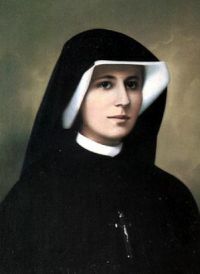 However, the Holy Father remarked, there is a form of death that should be more fearsome to believers: the death of the soul in sin. "Indeed," said the Pope, "those who die in un-repented mortal sin, closed off from God's love by their prideful rejection, exclude themselves from the kingdom of life." Election results are beginning to pour into various news networks. I am watching CNN and already they have projected that the proposed ban on gay marriage will succeed in Virginia. This is an early victory for morality! I'm especially praying for the states of South Dakota, California, and Missouri. With November being a time to pray for the faithfully departed, let us pray for the souls in purgatory. 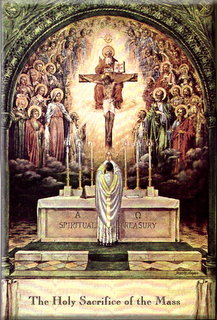 Look at my post called Prayers and scroll down to the section on prayers for the Holy Souls. I have been meaning to create this post for quite some time. 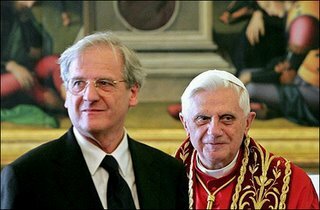 I wanted to put together a list of websites that claim to be "Catholic" but should never be supported by Catholics. 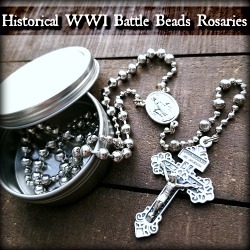 I am using Catholic Culture's website reviews for some of the information. Please realize that these websites are generally opposed to the truth of the Faith. 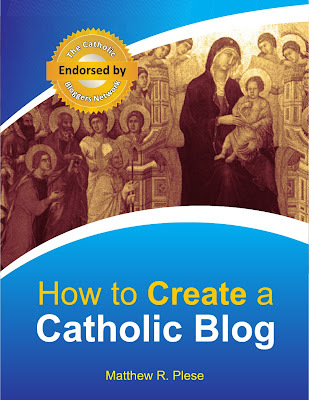 If you have a link to one of these websites on your blog/website, I strongly ask you to remove it in an effort for us all to promote the complete truth not a "watering down" of the Catholic Faith. 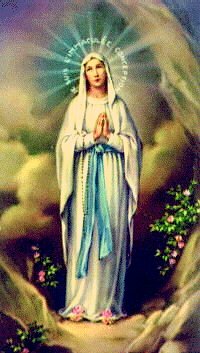 All links below are to the Catholic Culture review of the website; you may have to register (I believe it's free) to see the review by Catholic Culture. I do not want to post an actual link to the website since that is to be avoided. Busted Halo - A visit to the site produces one horrific example after another of dissent, blatant secularism, syncretism, and moral ambiguity. Needless to say, we strongly recommend that you completely avoid it. 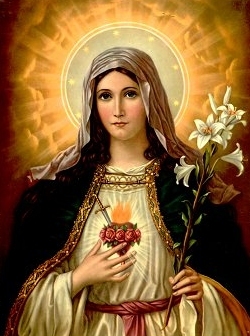 Leadership Conference of Women Religious - As Catholic Culture states: "The site is filled with antagonism toward the hierarchy and Church teachings, the emphasis on political activism in a secular humanist context, and feminist rhetoric." Maryknoll: Their political activism fits in very well with their espousal of liberation theology. While it is logical that Maryknoll would care about the material needs of those in the countries that they serve, they are forgetting what they were founded for. Instead of bringing the Truth of Christ to the world, they are politicizing the poor. 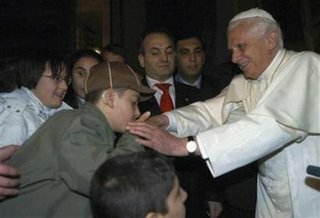 National Catholic Reporter - better named the National Catholic Distorter. North American Forum on the Catechumenate - Founded by Rev. 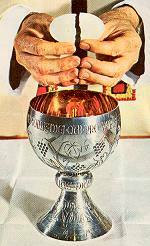 James Dunning, a dissenter who does not believe the Eucharist is Jesus. The prayer book has dissenting resources. 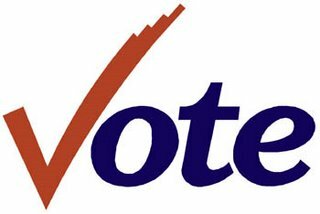 Pax Christi USA - Catholic Culture states: "They seem to care more about finding common ground with abortionists and the gay rights lobby than about working for true peace." Roses from Heaven - promotes condemned Bayside New York "apparitions"
These Last Days Ministries - promotes condemned Bayside New York "apparitions"
We are Church - a dissenting group following the "spirit of Vatican II"
These are some of the many websites that I believe all faithful Catholics should avoid. If you would like to let me know about any others, please comment below in the comment box. If you have any suggestions on others to add to this listing, please comment in the comment box below. 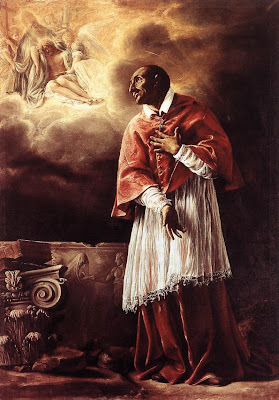 St. Charles Borromeo (1538-1584) was born in 1538 to a noble family; he was a nephew of Pope Pius IV. St. Charles was made a Cardinal at the young age of 23, and he assisted the Pope in governing the Church. 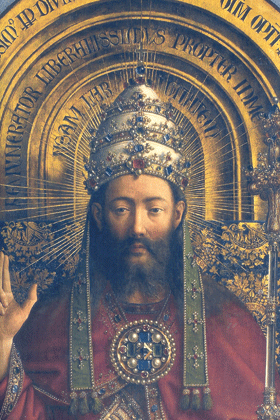 Soon thereafter St. Charles was made Archbishop of Milan. He is remembered for his efforts on behalf of the 19th Ecumenical Council of Trent (1545-1564). He then proceeded to enforce its decrees in the Archdiocese of Milan. 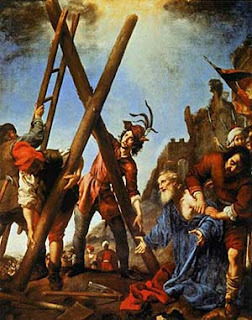 During a plague he even walked barefooted in the public streets carrying a cross with a rope around his neck, offering himself as a victim to God for the transgressions of his people. He prayed the Little Office of the Blessed Virgin daily. He was a model bishop and is the patron saint of seminarians. 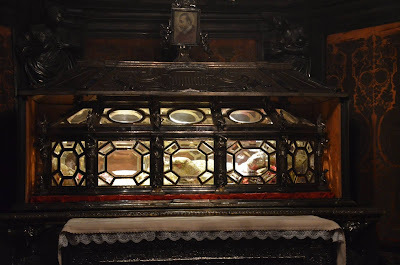 St. Charles Borromeo died on November 3, 1584. His body is incorruptible.